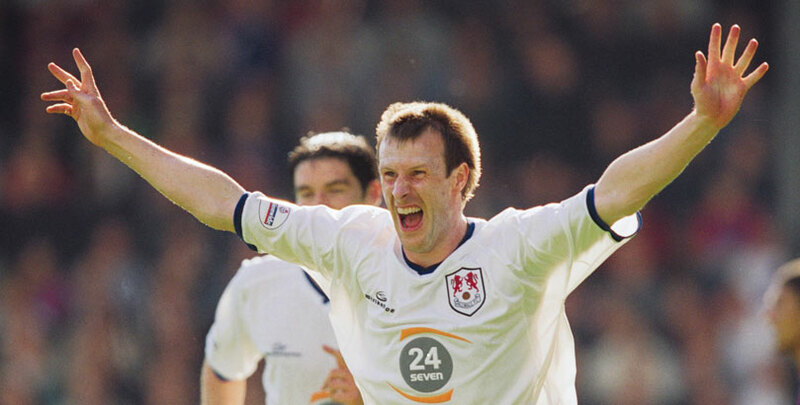 Steve Claridge played more than 1,000 senior games during a lengthy career before finally retiring in 2012 and has since stayed in the game as a media pundit. In an exclusive interview, he gives us his thoughts on the season so far for former clubs Portsmouth, Leicester, Birmingham, Bradford and Millwall. What do you think is a good season for Portsmouth this year? Is there a chance of another promotion push? I think back-to-back promotions is a step too far at this stage for Portsmouth. The club is in the process of building a new team again following last season’s success, with a new manager and four or five players who got them promoted now being sidelined. When a new manager comes in, sometimes they like to change things around with their players and it looks like a case of out with the old and in with the new. I think Portsmouth look like a good mid-table team, who can rely on being strong at home with a fantastic support behind them. There’s no chance of fighting relegation, but I don’t think they’re far enough along the transition to achieve promotion again this year. I don’t think the play-offs are out of reach, it’s just about getting a bit more quality and a bit more consistency. Fancy Pompey for promotion? BET HERE! What impact do you think Michael Eisner will have on the club? I think Michael Eisner will have a big impact on Portsmouth. You can’t expect to take over a club like Portsmouth and not spend a lot of money or go under the radar, so there will be expectation from the fans. Eisner has gone about it the right way so far, appreciating that to be successful on the pitch, the club also needs to be successful off of it. There will be times when people demand Eisner to spend big money, but the fans know that the answer isn’t always to throw money at it because that has been done before and the club almost went out of business. I really like the way that Eisner has approached the club, he hasn’t promised the world and that he is going to spend a lot of money making big signings, but that he is looking at it from a broader perspective. What do you think to the club’s improved infrastructure? There has been a recognition that they need to improve the infrastructure at the club to make sure Portsmouth is self-sustainable after quite a few uncertain years. I think the club has made big strides with their infrastructure in recent years now that they have their own training ground and good facilities, but they need to improve the commercial side if they want to reach the Premier League again. I’m not sure how they do that unless they build a new stadium, but the club needs to embrace the nature of modern football. Which areas do Portsmouth need to strengthen? I think if the club is to challenge for promotion then they need to find a player, or players, who will share the load in front of goal, along with Brett Pitman. I also think the club needs a bit more experience in the side. The club has a nice blend of youth in their squad but they’re more inconsistent and it has cost them a couple of times already this season when they’ve followed up a good result with a disappointing performance. Players love to sign for Portsmouth because it is such a special club and a privilege to play for. The fans are incredibly loyal and passionate. The atmosphere at matches shows how much it means to the fans, to the extent that players who know their football would take a pay cut to join the club over some of their competitors, a little bit like myself. Kal Naismith was top goalscorer last season. Do you think he will come good in League One? I don’t think Kal Naismith will come good this season because I don’t think the manager fancies him. Naismith is one of the three or four players to be sidelined despite their performances last year. I don’t think he’s an out-and-out centre forward either. Football moves on and sometimes you get players who naturally reach their level if the club reaches a higher standard. The fans will back the manager, but if Portsmouth find themselves slipping down the table then fans will demand a change on the pitch and that is where Naismith might come in. You say Kal Naismith has been sidelined this year. Is it impossible to break back into a manager’s plans if he simply doesn’t fancy you as a player? I think it’s foolish for a manager to totally forget a player who is under contract, unless their character is very bad and they have a poor attitude, because one day you might need them to deliver for you. The golden rule of being a manager is to treat everybody the same, regardless of personal differences, because it keeps morale high and you can count on him for if and when you find a system that suits the player. Portsmouth have been guilty of missing some big chances this season, particularly at the weekend. Is it a confidence issue for the players? The players have certainly missed quite a few good chances, but statistics can be a bit misleading. When you’re having so many shots and not scoring goals, you have to consider if you’re shooting from the right areas rather than simply saying it’s a confidence issue. Are the players shooting too early? Should they have made a couple more passes and forced a better position? The crowd can get nervous and players can get frustrated if the team misses chances, but overall the side has shown at times that they can be competitive at this level. Brett Pitman has been a very good signing. He is an experienced player and you can rely on him to score goals at this level. He is certainly a leader within the dressing room and at the football club, he’s the focal point for the side. It was a massive statement to make him captain straight away, but you need players like him if you want to be successful. It would be nice if they could acquire more players like him. Do you think Kenny Jackett is the man to keep leading the club forward? Kenny Jackett is a good manager at this level. He is very knowledgeable about the game and he goes about his job the right way. I’m hoping he is the one to lead them forward but it might take a year or two for that to happen. Who have you been most impressed with so far this season? I think Christian Burgess has had a good start and Brett Pitman’s goals have been important. I think Stuart O’Keefe has played well this season and has proven to be a good acquisition, he’s thrown himself about and does the nasty stuff that every team needs so I’ve been impressed with him as well. What did you think to Craig Shakespeare being sacked at Leicester City? Was it harsh after keeping them up last season? I think it was slightly harsh that Leicester City sacked Craig Shakespeare. I think that if Craig had three or four years’ experience as a manager when he had taken the job, he would have been given longer to turn it around but the owners didn’t have that successful track record to point towards as justification that that could happen. Unfortunately, Craig wasn’t given much time, especially considering the opponents he had played against and the way the team has played. Craig clearly had the support of the players at the start of the season from the job he had done to keep them up, but this season, that support doesn’t count for much when those same players are losing football matches and the results aren’t good enough. I’d actually say that I would find it difficult to understand if the players still liked the manager, even when they were struggling like they were. There would be something wrong with that relationship if a side were fighting a relegation battle and both sides were very ‘pally’. The owners sacked Ranieri after winning the title and now Shakespeare after keeping the club in the Premier League. Should fans be worried by their owners sacking managers? I don’t think fans should be worried about the owners liking to sack managers because the decisions on Ranieri and Shakespeare were understandable. However, they do need to settle down and give the next manager every chance to succeed because it won’t benefit the club if they have a reputation for hiring and firing their managers. The owners hired Ranieri and Shakespeare and both delivered short-term success to Leicester in different ways. Fans will hope for longer-term success with Claude Puel. What do you think to Claude Puel’s appointment as manager? I think it depends on which perspective you take as to how you feel Claude Puel was treated at Southampton. His record of finishing eighth and getting to a cup final they should have won comfortably, says his sacking was very harsh. But many supporters will point to the lack of goals and style of play as a major negative in his tenure. I don’t think Southampton can realistically do better than what they did last season and I think there are a few fans this season who would welcome him back already. My only concern, from a Leicester perspective, was the inability to put right the shortcomings at Southampton, over quite a long period of time, which for someone with his experience, you’d have thought him capable of doing. The situation went on far too long and he didn’t have the answers to resolve that problem, which would be an issue. Do you think Puel’s cautious nature will have an impact on Vardy and Mahrez? I think Leicester City badly need to get the best out of Vardy and Mahrez if they want to be successful, they’re both big parts of the club and both are delivering again this season. Puel won’t want to change anything in respect to Vardy, he needs to be allowed to play his natural game, and that fight in him and his will to win are obvious in his play. Mahrez had his head turned by potential transfers in the summer but he looks like he has settled down and enjoying his football at the club again. If you want Mahrez in the team and delivering, Puel needs to make sure he focuses on doing what he does well and that’s scoring and creating goals rather than a defensive role. That’s where the balance of covering those shortfalls within the team comes into play. How big a miss do you think Danny Drinkwater will be to Leicester City? I think Leicester City are missing Danny Drinkwater this season. He’s a very good player in his own right, but it’s his partnership with Kante that was the glue that kept the team together. It will be very difficult to replace either Drinkwater or Kante. Do you think Leicester City could potentially go down this season? There’s no chance that Leicester City will get relegated this season. They will be absolutely fine because the club has too much quality and too much character. I think Leicester will look to finish in the top half of the table. I think the difficulty with being a mid-table team is the pressure is on to either entertain the fans, or get to a cup final, and that’s where Claude Puel will need to make sure the side gives the supporters what they want. Where will Leicester finish this season? BET HERE! What do you think of Demarai Gray? Is he a potential star in the making for the club? Demarai Gray is a fantastic talent and Leicester City may need to figure out how to get him into the team alongside Mahrez. It’s more difficult than it sounds to play both Mahrez and Gray because that would mean two players who aren’t the most helpful when the team doesn’t have the ball. You can’t just have players who are great on the ball but not do much without it, you need players who can do the nitty gritty and play your part in the balance of the side. What have you made of the Adrien Silva transfer situation? Football clubs seem to enjoy leaving transfers until the last minute, with the bluff and the double bluff games they play, and Leicester paid the price for that. Failing to sign Adrien Silva this summer potentially cost Craig Shakespeare his job. Adrien Silva is potentially a very good player with obvious quality and it will be interesting to see how he fits in. It will be exciting for the fans and he’s the type of player that they want to see. Who has been player of the season at Leicester City so far this season? I think Harry McGuire has proven to a good signing for Leicester City so far. He looks to be a very accomplished defender, comfortable both with and without the ball. Kasper Schmeichel has also been outstanding but Harry McGuire has definitely been the surprise package so far this season. Birmingham look like they could be in real trouble this season. Do you think they could get relegated? I don’t think Birmingham will get relegated this season, there are definitely three worse clubs than Birmingham in that division. They’ve spent £25 million on players so the quality is definitely there. It has been a disaster so far this season, but I think it’s just a case of settling down and finding the best system. It’s not easy to shoot up the Championship because every game is so tough and you can’t afford to play catch up. Hopefully this will be a new period of stability where the club can work with the players they have got because the turnover has been far too high recently. Backing Birmingham for relegation at 5/2? BET HERE! Do you think Steve Cotterill is the right man to take Birmingham forward? I don’t know if Steve Cotterill is the right man for Birmingham City. It’s an appointment which went against the grain. He’s had some good periods and some not-so-good periods in his career. He was obviously Harry Redknapp’s assistant and has now found himself in charge, he will consider himself fortunate to have been in situ at the time the club needed a new manager and it’s a fantastic opportunity if he does well. He’s obviously aware of the capabilities of the players already at the club and I would imagine that he would have said to the owners ‘there is no need to go and spend another lot of money replacing them’, which someone who had come in cold might ask for. You know what you’re going to get when you hire Harry Redknapp. He likes to spend money quickly and he wants to get as many good players in as possible. Redknapp isn’t looking to build slowly, he’s in the latter stages of his management career and he wanted to get back into the Premier League as soon as possible. He will stand his ground with any chairman and being linked with big names, such as the likes of John Terry and Peter Crouch, clearly backs that up. So his management wasn’t going to come cheap. Redknapp kept Birmingham up last season and it was a decent effort, but you can’t start the season the way he did and keep your job after spending those sums of money. If you spend that type of money, you need to prove your worth instantly. Redknapp spent huge sums at Portsmouth in the Championship and they were successful on the pitch, and he was looking to repeat that formula with Birmingham but it didn’t work. Birmingham have two big games against Barnsley and Brentford coming up. How big is the pressure on these games? I think it’s far too early in the season to put too much pressure on the games against Barnsley and Brentford. I think Birmingham could lose both of these games and still easily avoid relegation. They’re important games for building confidence and the club’s long-term attributes as a foundation for next year, but it won’t determine the club’s fate this season. The players showed they have the passion and quality against Aston Villa but that’s the derby and it’s easy to get motivated for that game. It’s games against the likes of Barnsley and Brentford that you find out if you have holes to fill in January and longer term. What do you think Birmingham will do to strengthen in January? It will be interesting to see whether Birmingham will look to use the January transfer window, as they plan for next year. The club obviously have a lot of money behind them and I think with the appointment of Cotterill, they want to see if the manager can work with the players he already has, before trying to spend big again. Steve Cotterill will be assessing these players over the next couple of months and deciding what actions he needs to take come January. What have you made of Bradford’s season so far? I think Bradford have a very strong spine to their team and many good players in their squad. Charlie Wyke has been a good acquisition from Carlisle. Matt Killgallon, Colin Doyle and Nicky Law are decent players. This side have gone close the last couple of years and now it’s a case of getting over the line, it doesn’t matter how they do it. Is promotion on the cards for Bradford this season? Bradford are where they need to be at this stage of the season to be promoted come May. I think Bradford have got a good chance of achieving their goal this season as they will have learned their lessons from experiences over the last couple of years. The club knows what is required to get promoted now. Wigan and Shrewsbury have both had very good starts, but Bradford know it’s a long season and there are many pitfalls ahead. Who will Bradford rely on to get promoted this season? I think Charlie Wyke will have a big say on whether Bradford get promoted this season. He’s a great target man and gives the team something to aim for so players can move around him. Paul Taylor and Nicky Law are two other very decent players who are agile and mobile. I believe Bradford have a very strong side this year. Who do Bradford need to sign in January to maintain this title challenge? I think Bradford might need to sign a winger in January to make sure they maintain their title challenge, someone who can get wide and play in a dangerous ball. I don’t think there are obvious weaknesses because they have a strong spine, and the club and manager are fully aware now of what it is going to take to get out of this division. You played alongside Neil Harris. Did you see him becoming a manager? I think Neil Harris has done very well at Millwall. It helps and fits that he’s an ex player who the club and the fans can relate to. He’s a fan favourite and it always brings a good feeling when someone so closely tied to the club gets an opportunity and does it well. The club hasn’t been blessed with success in recent years, but he has given fans enthusiasm and passion back after a spell when they had almost given up and didn’t expect anything better. Will Millwall stay up this season? A lot will depend on how many goals Steve Morison and Lee Gregory will get this year, so they need to believe that they can win games at this level. You can’t fault the players’ work ethic, the aggression and their desire to play for the football club, so I’m sure that will be enough to keep them up. How important was it that Millwall were able to keep hold of The Den? It was massively important that Millwall were able to keep hold of The Den because it’s such a big part of the community. It does fantastic work engaging with the people of that area, with lots of work being done for some of the poorest boroughs in the country. There’s no way in the world that The Den should be sold because of the human element which is far more important than the commercial side.